Hello guys, WhatsApp was released the Delete for Everyone feature to delete message and file from both the sender and the receiver at the same time, a feature that many users of this IM application waited for, but now there were many tricks to retrieve those deleted messages from WhatsApp, and with the same idea WhatsRemoved came, which can keep the messages that are deleted from the sender, and thus can be accessed and restored at any time. 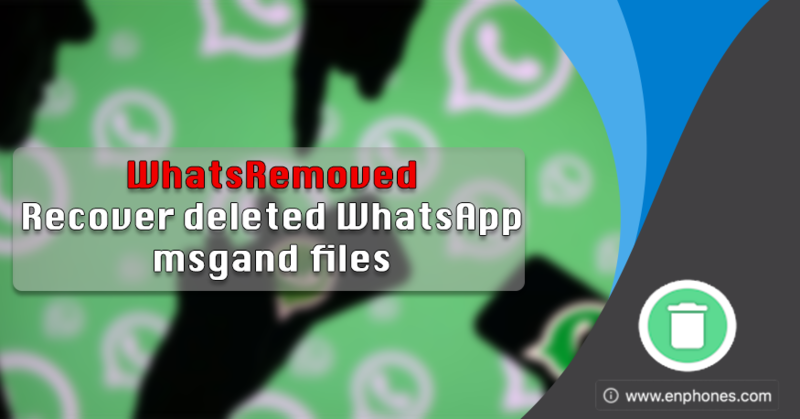 WhatsRemoved apk app can detect and save deleted messages and files from WhatsApp conversation, all you need is to install WhatsRemoved apk on your android device before, then it will detect all WhatsApp message in the moment of arrival and save it in another directory, so you can find it even if the sender deleted it. 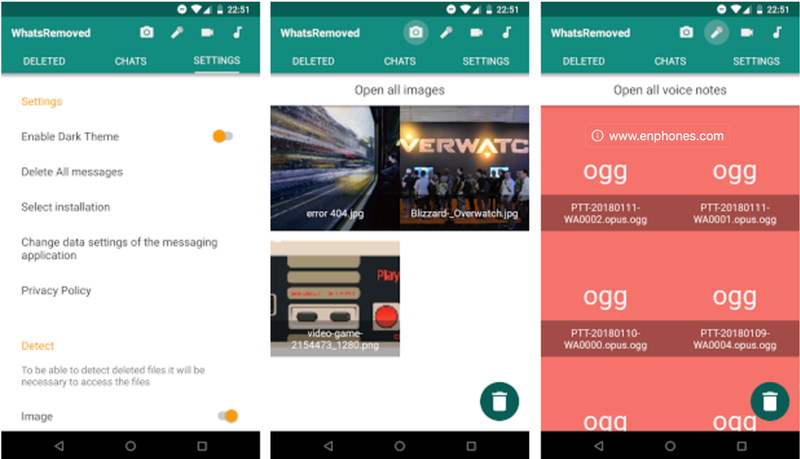 WhatsRemoved app can save all text messages, voice messages, videos, and images immediately after they reach the device, and is therefore easily accessible even if the sender has deleted them from the sending console using "Delete for Everyone" feature. also WhatsRemoved apk will alert you when a message has been deleted.